Kids seem to be hollow-legged, never-full, eating machines, whether it’s lunchtime or the minute they step in the door! So we wanted to share with you some healthy lunch and snack ideas to help keep your eating machines under control! Lunches can get pretty boring when served day in and day out. So try new foods, shapes, and colors, to throw kids off and interest them in trying something new! I like this blog: A Virtuous Woman. She offers a great (printable) list of 125+ healthy lunchbox ideas! No school day is complete without that after-school snack! Kids come home starving and ready to eat before diving into homework, chores, and anything else they need to do! 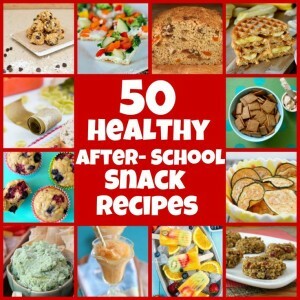 A quick Google search will result in a TON of healthy after-school snack ideas, but here is a great collection I found! Hope your new school year starts off with a bang!